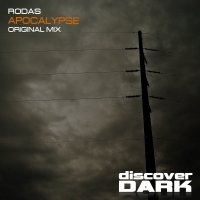 Rodas continues to impress with his latest single Apocalypse which explodes into action with throbbing bass and an immense kick. Cool vox stabs pepper the intro which is also laden with production trickery. The breakdown delivers a perfect mixture of tension and excitement with detuned leads and sinister top line fx creating the dark hypnotic feel. Rodas just gets better and better!!! 'Apocalypse' is available now from Beatport and iTunes.